A replacement for Bishop Stephen Lane, who is retiring next year, will be selected in February from five remaining candidates at a statewide electing convention in Bangor. 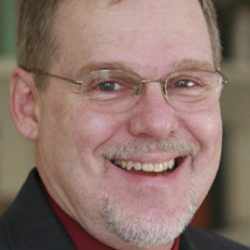 The Episcopal Diocese of Maine received about three times the usual number of applications in its ongoing effort to replace Bishop Stephen Lane when he retires next year. Church leaders figure the spike in interest probably has something to do with Portland’s growing reputation and regular appearance on “best of” lists for being a great place to live, especially if you like to dine out. Twenty-seven clergy members from across the United States either were nominated or applied to lead The Episcopal Church in Maine, headquartered at the Cathedral of St. Luke in Portland. This month, the diocese named five candidates who will stand for election to the bishop’s seat in February during a daylong convention at the Cross Insurance Center in Bangor. More than 300 laypeople and clergy are expected to participate as delegates. The 10th Episcopal bishop of Maine will be ordained in June during a service led by the Most Rev. Michael B. Curry, presiding bishop of The Episcopal Church in the United States. Curry gained international attention last spring when he delivered an enthusiastic sermon at the wedding of Prince Harry and Meghan Markle in England. The opportunity to become the spiritual leader of more than 10,000 Episcopalians in Maine drew so many applicants largely because Portland and Maine are considered desirable places to live and work, said John Hennessy, diocesan spokesman. Hennessy said it was a challenge for church leaders to whittle the field to five candidates. “But it was worth it,” he said, especially because of the diverse qualifications they offered. The candidates for bishop are the Rev. Kenneth Brannon, rector of St. Thomas Church, Sun Valley, Idaho; the Rev. Thomas Brown, rector of the Parish of the Epiphany, Winchester, Massachusetts; the Rev. Anne Mallonee, executive vice president and chief ecclesiastical officer, Episcopal Church Pension Group, New York City; the Rev. Rachel Taber-Hamilton, rector of Trinity Episcopal Church, Everett, Washington; and the Rev. Janet Waggoner, canon to the ordinary and transition ministry officer, Episcopal Diocese of Fort Worth, Texas. Church members will have three opportunities to meet the candidates during so-called “walkabout” presentations Jan. 18 to 20 in Augusta, Bangor and Portland. Exact locations and times will be announced as soon as they’re finalized. The walkabouts will be live-streamed online for those who are unable to attend. The five finalists were selected by a 12-member “discernment committee” headed by the Rev. John Balicki of St. Mark’s Church in Waterville. The committee spent nearly five months reviewing application materials and interviewing candidates via teleconference and in person. Information on each of the five candidates, including a video, biography, resume and answers to questions posed in the discernment process, can be found at bishopquest.episcopalmaine.org. The diocesan Standing Committee, led by the Rev. Maria Hoecker of St. Columba’s Church in Boothbay Harbor, approved the final slate of candidates by unanimous vote. Founded in 1820, the year that Maine became a state, the Episcopal Diocese of Maine includes 59 congregations, 18 summer chapels and other ministries. About 225 laypeople and 125 active and retired clergy are expected to attend the convention Feb. 9, Hennessy said. The bishop will be selected through rounds of voting, then the Standing Committee will announce the chosen candidate and seek consent from a majority of 108 other dioceses in the wider church, which has nearly 2 million members in 17 nations. Formed out of the Church of England after the Revolutionary War, The Episcopal Church today has a strict rule that all clergy must retire by age 72, Hennessy said. Lane, 69, has been bishop of the Maine diocese since 2008, when he replaced former Bishop Chilton Knudsen. Raised in upstate New York, he began his career in religious service as a youth minister in the Episcopal Diocese of Rochester. After attending seminary and becoming ordained, he served in churches in Corning and Palmyra, New York, before becoming an administrator in the Rochester diocese in 2000. Lane is vice chairman of the church’s Joint Standing Committee on Program, Budget and Finance and is a member of Episcopal Bishops for a Just World. He and his wife, Gretchen, have three children and six grandchildren. If the Feb. 9 electing convention is pre-empted by foul weather, it will be rescheduled to Feb. 23.